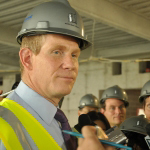 Veteran Silverstein executive Janno Lieber is set to oversee some of the MTAʼs biggest projects as the authorityʼs chief development officer. The appointment is part of Governor Andrew Cuomoʼs commitment to bringing private sector talent into public service to produce results for New Yorkers. “The key to transforming the MTA is delivering on bold and ambitious projects that will give New Yorkers the enhanced, modern transportation system they deserve,ˮ Governor Cuomo said. For the past 14 years, Lieber has been president of World Trade Center Properties, managing the multi-billion dollar development of Silverstein Properties’ projects at the World Trade Center. 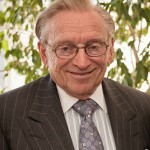 Before that, Lieber served as Senior Vice President of Lawrence Ruben Company, and worked with clients such as Chicago Transit Authority, New Jersey Transit, and Penn Station Redevelopment Corp. – the agency responsible for planning the transformation of the James A. Farley Post Office Building into Moynihan Station. In 1994, President Bill Clinton named Lieber Deputy Assistant Secretary for Policy for the U.S. Department of Transportation and he spearheaded the roll-out of the Clinton Administration’s ISTEA authorization proposal, a highway and mass transit funding bill. Earlier in his career, Lieber practiced law at the New York firm of Patterson, Belknap Webb & Tyler and served as a transportation policy advisor in the office of New York City Mayor Ed Koch. A graduate of Harvard University and New York University Law School, he will officially join the MTA in late May. 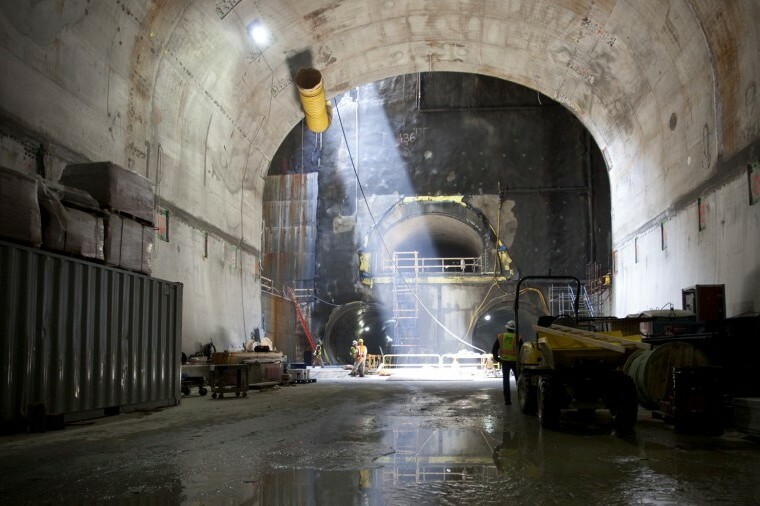 As part of his new responsibilities, Lieber will head up the MTA Capital Construction Company and will manage projects such as Second Avenue Subway Phase II, East Side Access and Penn Station Access. Lieber will also oversee the MTAʼs Alternate Project Delivery, including in particular expanded use of Public Private Partnerships. “These projects are the foundation upon which the future of our agency is being built. We look forward to Janno bringing to the MTA his lifetime of experience in getting big things accomplished – and we know that will pay lasting dividends for our riders and customers,ˮ said MTA Interim Executive Director Ronnie Hakim. Silverstein Properties chairman Larry A. Silverstein wished Lieber the best saying, “While it is always sad to lose a great colleague, as a New Yorker, I’m thrilled that Gov. Cuomo has asked Janno to take responsibility for some of the largest and most complex projects in the region. “For the World Trade Center, this is actually a well-timed transition. The WTC project is in great shape, with 7 WTC and 4 WTC fully leased and One World Trade Center well on the way. 3 WTC is on budget and schedule for targeted completion early next year. The Memorial and Museum, as well as the Observation Deck, are visited by millions every year, and with the opening of the Oculus and retail, the World Trade Center has emerged as the centerpiece of the most dynamic live-work-play neighborhood in America.